The brand-new animated preschool series Corn & Peg (produced by Nelvana Studios) will gallop onto Nickelodeon Monday, March 4, at 12:30 p.m. (ET/PT). The series (20 episodes) follows the extraordinary friendship between Corn, a loveable Unicorn, and Peg, a plucky Pegasus, who share the same unbridled enthusiasm for doing good deeds. Corn & Peg features a social-emotional curriculum that highlights empathy and kindness, and a school readiness curriculum emphasizing colors, math, directions, and health and wellness. In Corn & Peg, the pair of inseparable best friends are inspired by their favorite superhero, Captain Thunderhoof—champion of all do-gooders—to make a difference and help the residents in their colorful equine community of Galloping Grove. Together, Corn and Peg are the dynamic duo of doing good, always putting others before themselves and believing that doing good feels good. In the series premiere of Corn & Peg, “Deputy Do Gooders/Horseplay,” when Sheriff Swiftstone makes Corn and Peg deputies, they get distracted from their traffic duties and cause a huge jam. Then, while Captain Thunderhoof is busy stopping a boulder from rolling toward Farmer Shire’s farm, Corn and Peg must help with a rescue. Following its U.S. launch, the series will roll out on Nickelodeon’s international channels and branded blocks in 2019. Corn & Peg is based on a animated Nickelodeon Preschool short of the same name made in 2015. In the short, the role of CORN was voiced by Colin Critchley (Nickelodeon's Legends of the Hidden Temple TV movie). Leading up to the series premiere, Nickelodeon will air a super sneak peek preview of the all-new show on Friday, February 22, 2019 at 12:30 p.m. ET/PT. In the sneak-peek, "A Very Sticker Situation"; "When Life Gives You Apples" (#102), Corn and Peg help pick apples; Later, Corn and Peg help their neighbors. 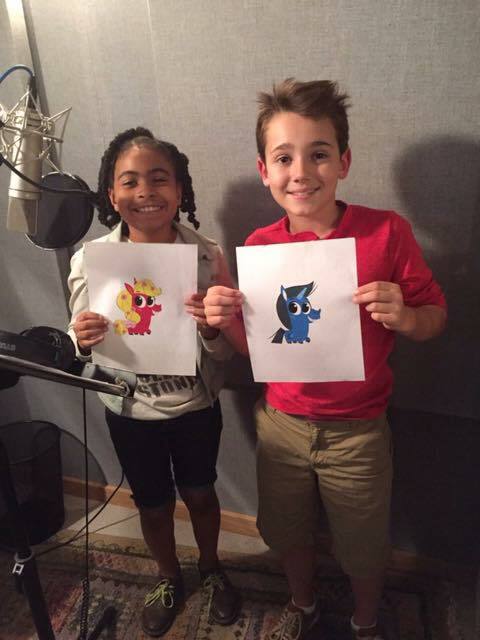 You're going to get a kick out of the two newest Nick Jr. friends—Corn and Peg! Check out the theme song that'll give you a first look into the series. Join the PAW Patrol, Sunny Day, Blaze and the Monster Machines, Butterbean, and welcome these two do gooders to the Nick Jr. family. Don’t miss the premiere, March 4th on Nick! Source: TheFutonCritic.com; H/T: Anime Superhero Forum /@kanc (II), Twitter /@@TVShowsFan; Additional source: Animation Magazine. Follow NickALive! on Twitter, Tumblr, Reddit, via RSS, on Instagram, and/or Facebook for the latest Nick Jr., Nickelodeon Preschool and Corn & Peg News and Highlights!